The quokka appears to be the happiest animal on earth, who wouldn’t want a selfie with one?! The quokka is the size of a small dog, moves like a kangaroo, and is probably the most photogenic animal you’ve ever seen. It’s no wonder people are flocking to Australia to see the “happiest animal on Earth.” Currently, quokkas are almost single-handedly saving tourism on Rottnest Island in Western Australia. Rottnest Island was becoming known for deadly shark attacks until photos of quokkas began to pop up all over social media. 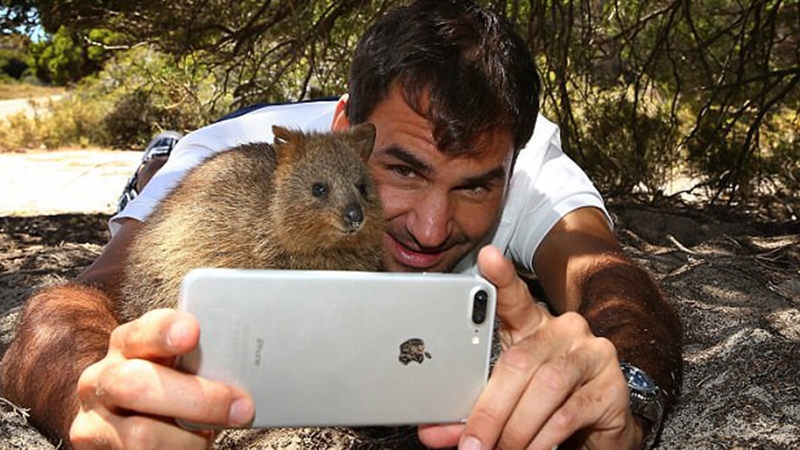 Celebrities like tennis star Roger Federer visited the island and their selfies began to go viral. After that, the island’s tourist population began to grow; everyone wanted a selfie with the adorable creature. Quokkas are considered rare on the mainland but the population on Rottnest Island is flourishing. Without any natural predators, the happy animals can roam freely and safely. While there is concern of overpopulation, for now, the island is thrilled with the tourist boom.